I enjoyed the two flavours I tried, I'd be interested in trying any others. The cheese is fairly soft and almost crumbly. It spreads onto bread fairly nicely. As for the flavours my favourite was the Black Pepper. It has a good strong peppery flavour, not over the top - just right. 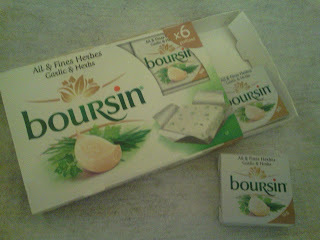 The Garlic & Herbs one was also nice, but I felt the flavour could be stronger. If I wasn't so greedy and managed to stop myself nibbling it straight out of the fridge I had meant to try some on a baked potato. It comes in convienient individually wrapped portions open just one or two portion sized packets and you don't have to rush to use it up before it has been open too long. Still can't finish off a box before it's going to go out of date - stick it in the freezer! I was pleased to discover these two and several other of Boursin's range are vegetarian as that also made it suitable for my husband who is a vegetarian. I also see it's suitable for pregnant women and it contains no gluten. At £1.69 for six portions, it is fantastic value. 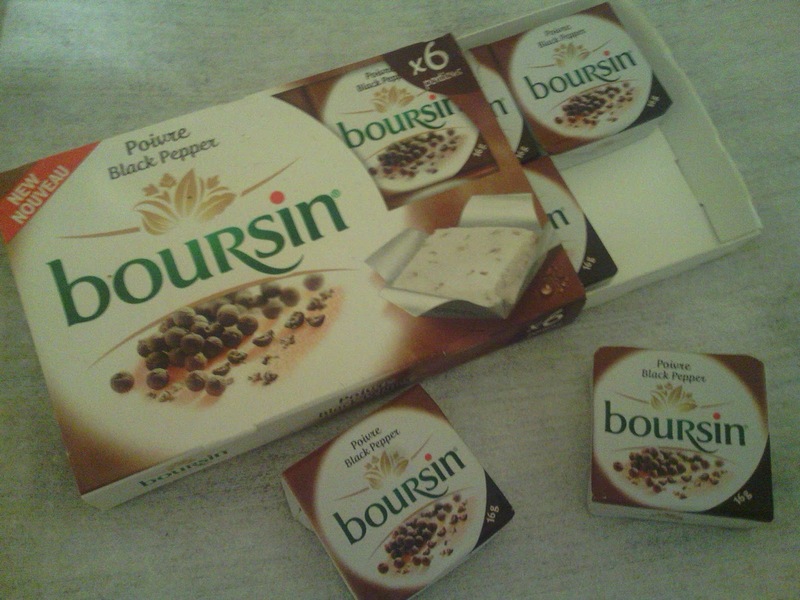 Boursin is available Tesco and large Waitrose stores.